The Cummer Museum is pleased to host an evening with best-selling author, prize-winning journalist, acclaimed biographer, and cultural historian Wil Haygood. Best known as the author of the New York Times bestsellers “The Butler” and “Showdown,” Mr. Haygood tells the story of America through the lens of history, politics, sports, race, and the lives of change-making African-Americans. 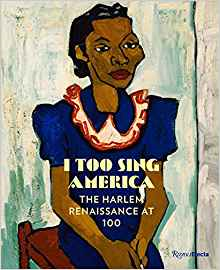 Haygood will present an in-depth analysis of the impact of the Harlem Renaissance through the work of his new book "I Too Sing America," which will be available for purchase in the Cummer Shop, along with a selection of his other books. One hundred years after the Harlem Renaissance emerged as a creative force at the close of World War I, “I Too Sing America” offers a major survey on the visual art and material culture of the groundbreaking movement. The book illuminates multiple facets of the era – the lives of its people, the art, the literature, the music, and the social history – through paintings, prints, photography, sculpture, and contemporary documents and ephemera. The illustrated chronicle includes work by artists Romare Bearden, Allan Rohan Crite, Palmer Hayden, William Johnson, Jacob Lawrence, Archibald Motley, and James Van Der Zee. The book is the culmination of decades of reflection, research, and scholarship. In thematic chapters, Haygood captures the range and breadth of the Harlem Renaissance, a sweeping movement which saw an astonishing array of black writers, artists and musicians gather over a period of a few intense years, expanding far beyond its roots in Harlem to unleashing a myriad of talents upon the nation. For further information or to register for the event, please call 904.899.6038 or register through the link below.